As Chicago and the Midwest head into a weekend warm-up following a record-setting Arctic blast, melting snow and rain are likely to cause flooding throughout the area. Temperatures in some parts of the region could jump by 80 degrees over the next several days, compared to lows of 20 to 30 degrees below zero earlier in the week. As the warmer temperatures melt existing snow, the potential for flooding increases because the frozen ground is unable to absorb water and snow, causing runoff to flow immediately into sewers. Sewer systems, therefore, can become overwhelmed from the combination of normal sewage flow, rain and snow melt, a scenario that often leads to flooding, according to the Metropolitan Water Reclamation District of Greater Chicago. MWRD said Friday that it’s preparing for potential flooding by lowering water levels in Chicago-area waterways to make room for runoff. The agency will also rely on its network of tunnels and reservoirs, which it said are ready to hold more than 11 billion gallons of water. The agency is also asking Chicago-area municipalities and the public to help prevent flooding by reducing water use, such as by postponing high-water consumption activities like bathing, showering, running the dishwasher and washing clothes. Those who observe flooding should report it to their municipality, according to MWRD. In Chicago, you can report flooding by calling 311. 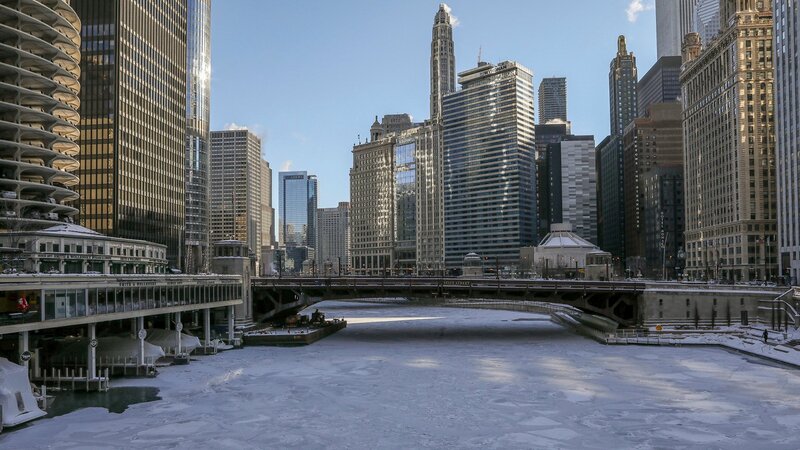 In addition to flooding, the thaw from Chicago’s freeze is expected to wreak havoc on the area’s infrastructure, with a heightened chance for gaping potholes, cracked roads and broken water mains. Find additional tips for conserving water to prevent flooding here.